I am so glad I stumbled upon this product. As all of you know, I have been battling a fierce fight with my acne. I am now at the stage where it is under control, but I need help cleaning up those scars. I have tried a whitening serum, extra moisturizer just about anything that says to help reduce scars. I stumbled across this and thought I was a great match. You should use this on uneven skin tone, large pores, red, purple or dark brown scars, dark acne marks or scars and dark burn scars. I can raise my hand to just about all of them. I do have a couple ice pick acne scars (the ones that indent and look like little drag marks) but this product wasn't designed to treat those. That is my next question for my dermatologist, p.s. As you can see above and below, I had several dark scars, lots of unevenness going on and large pores. I also had several sunspots on my foreheard. I didn't include those pictures, because this product was not meant to treat sun or age spots. 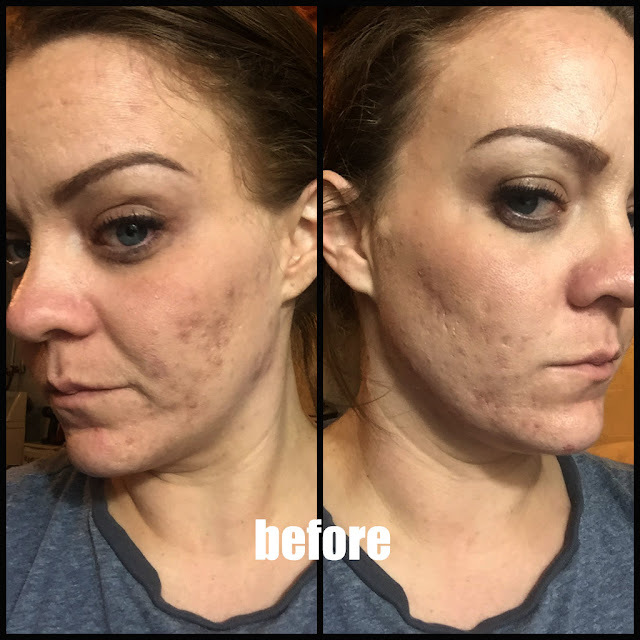 I have been using this product for a little over 40 days. My routine is cleanse, tone, Aczone, InviCible Scars, moisturizer. Now keep in mind, my face hated me for a long time. I've only been super loving it for about 6 months now. It takes time for most products to work. You can't just slap it on for a week and wonder why it's not working. This is such a smooth applying product, that you only need a little bit. I've had the .9oz tube for over 40 days and it's not even halfway done. 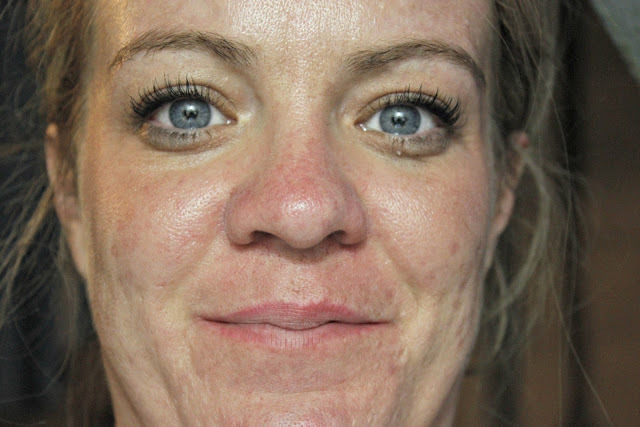 As you can see, my face is brighter, has less dark scars and has really started to tone up. My scars are noticeably lighter and my pores have absolutely shrank. Also, I didn't picture it, but the sun spots I had on my forehead started to go away. This is not one of the issues it treats, but on me, it worked. The best part of this product is it can be used as primer. When I was in North Carolina last week, all I wore when I went out was my InviCible Scars and sunscreen. It blurs so nicely and melts in even better when topping it with makeup. The only thing I can say is if you are trying to wear heavy makeup in 90 degree weather and only this, you may want to put on extra primer just because this wears off quicker in hot weather. Well try to stay away from heavy makeup in 90 degree weather and you would just be ok. Anyway, it wore light on it's own and help create a nice matte look. Cute, right? Overall, I think I will use up this tube and see where the progress of my scar treatment is set. Scars aren't easy to get rid of but the longer you wait for treatment, the harder it is to get rid of them. While using this, I did have a procedure done (see a couple posts back about the Worst Day Ever) so I am able to use this on my scar now. It's just on my breast, so you won't be getting any pictures of that. You will just have to take my word for it. lol! If you are interested in learning more about this product or would like to purchase it, you can do so here. 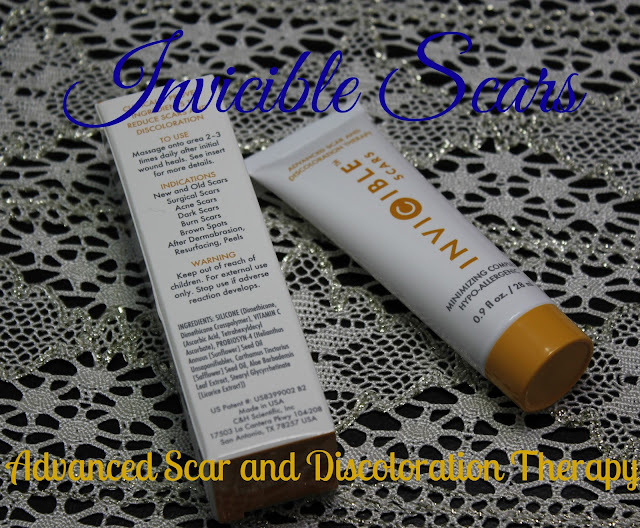 Have you ever heard of InviCible Scars? 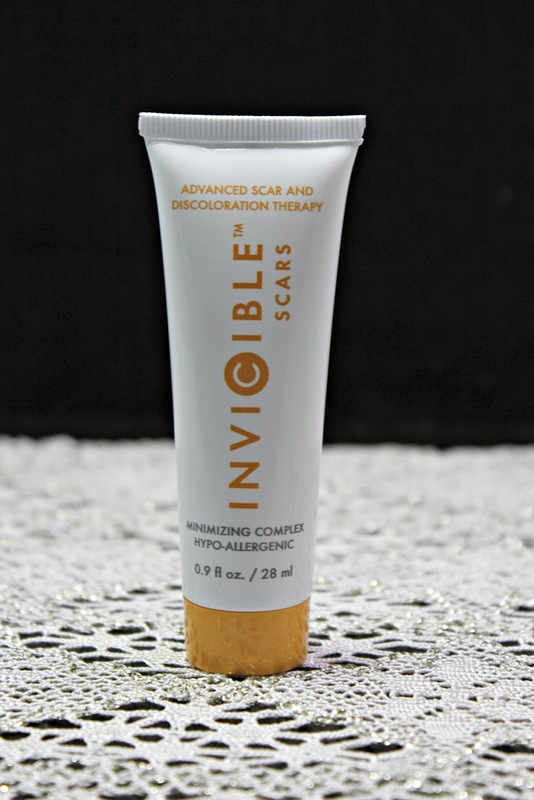 Do you have any new scars you could use this on? Want to find out what kinds of scars this can be used on, click the link above.